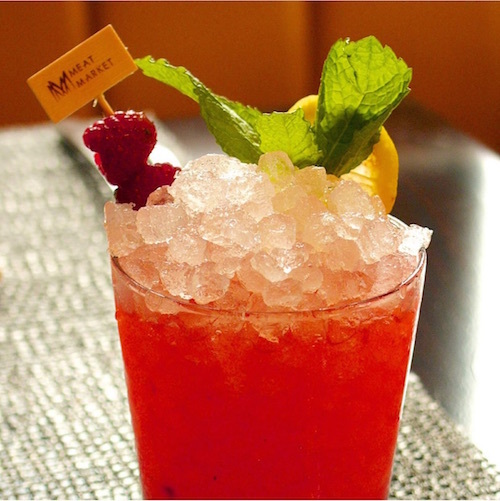 Sit back, relax and know that it’s always 5 o’clock somewhere. When it comes to Spring Break in Miami, we take the phrase “we live where you vacation” pretty seriously. We have beautiful beaches. We have some of the best nightclubs in the world. We have Ultra Music Festival (which also means we have a lot of people dressed in neon). But most importantly, we have an epic Happy Hour at every turn to help you transition from daytime beach bum to dance floor royalty. You aren’t doing Spring Break right if you don’t go to Monty’s. 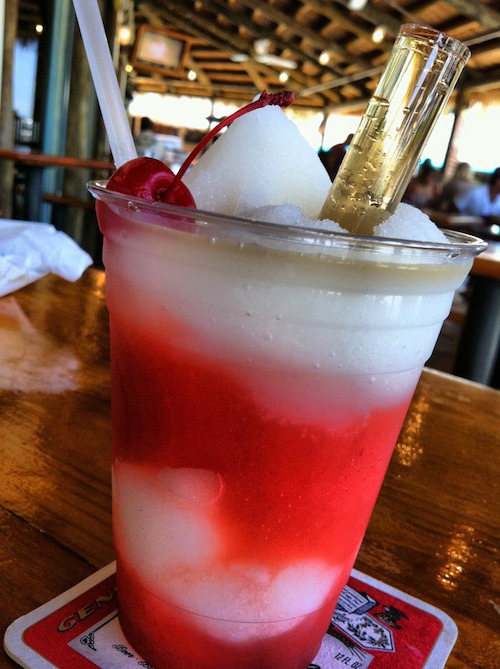 From 4:00-8:00 pm on weekdays, be sure to try their signature drinks like their Miami Vice (pictured above) or their Piña Colada. One sip and it’s as if you’ve been transported to the tropical island of your dreams (until you realize you’re already in paradise). Happy Hour at Vintro’s doesn’t disappoint: every Thursday from 5:00-8:30 pm, enjoy half-priced wines and cocktails paired with delicious small bites like lamb sliders with goat cheese. From 5:00 to 7:00 pm , everything on NaiYaRa’s menu is $7. And that’s every day, including Saturdays and Sundays. Talk about Happy Hour heaven. 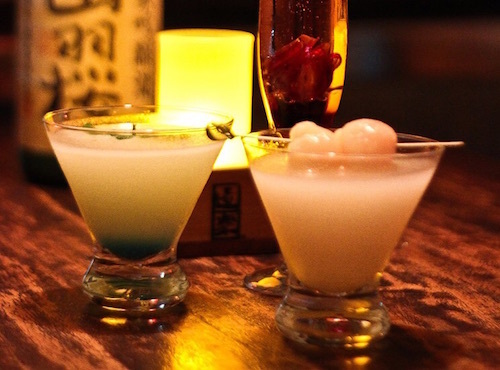 Doraku Sushi is a total happy hour win—because what’s better than $4 sake and $6 lychee martinis? The $7 Tuna Tataki and $5 California Rolls to help curb your post-drink appetite, that’s what. Because it’s Spring Break and you’ll probably end up at STORY or LIV nightclub on a Tuesday, treat yourself to a pre-game Happy Hour at HuaHua’s. 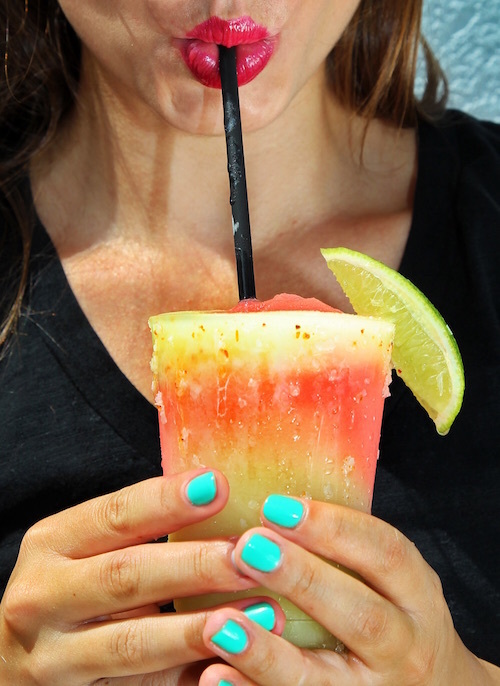 On weekdays from 4:00-7:00 pm, grab a margarita (starting at $4) or a beer (starting at $3). 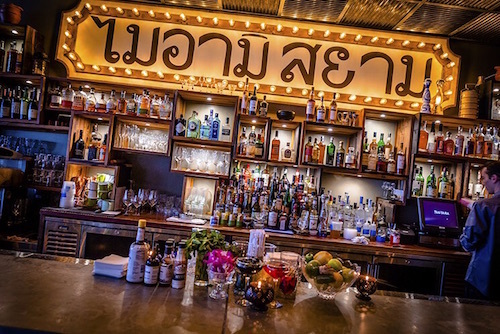 And if you want to keep the party going late-night, stop by HuaHua’s from midnight to 4:00 am on Fridays and Saturdays where you can get happy hour prices on your favorite drinks. 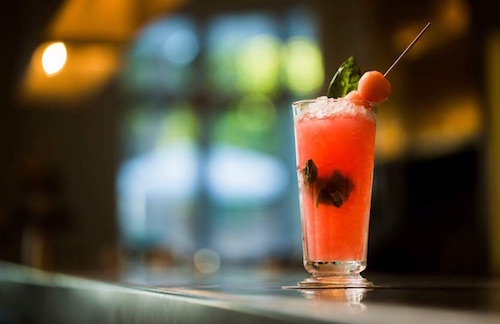 For a more polished (but still Spring Break party approved) Happy Hour on a Friday, stop by Meat Market Miami from 5:00-8:00 pm to enjoy a savory drink. Order one of their tasty small bites, like oysters and fresh ceviche, for a picture-perfect finish. With over 40 domestic and imported gins from around the world, $7 Cuban sandwiches and Florida Bruschetta for $8, Happy Hour at The Gin Bar (5:00-7:00 pm daily), is ideal if you’re looking for a bit of an upscale Spring Break experience. 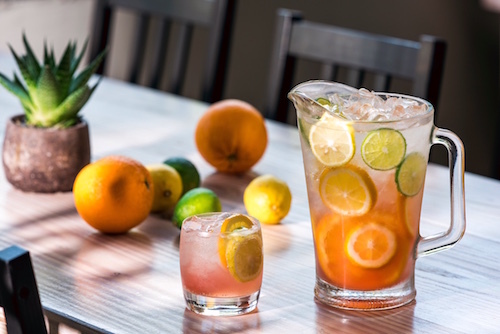 Barceloneta puts a fun and exotic twist on Happy Hour: signature cocktails and Sangria by the glass for only $8, draft beer for $5 and bar bites like Chorizo a la Sidra and Patatas Bravas ranging from $2-12. Be sure to check their website for all their Happy Hour specials. 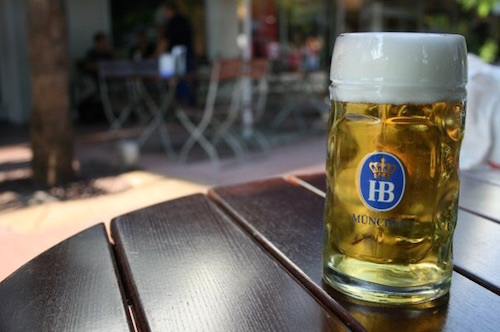 If fruity drinks and cocktails aren’t your thing, stop by Hofbräu Beerhall on Wednesdays from 5:00-7:00 pm to taste German brews like Hofbräu Original (Premium Large), Hofbräu Hefe Weizen (wheat beer), Hofbräu Dunkel (dark beer) and Hofbräu Maibock (seasonal beer). Pair your specialty beer with a plate of traditional German food.